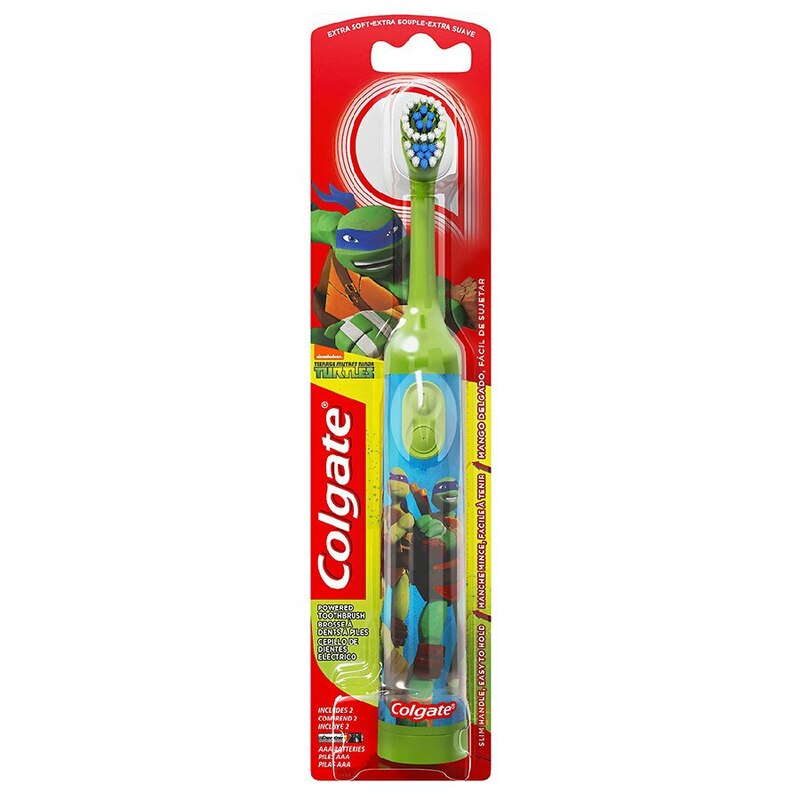 Colgate Kids Battery Powered Toothbrush, Teenage Mutant Ninja Turtles, has a small oscillating head that cleans teeth and gently sweeps away plaque. This kids battery powered toothbrush has extra soft bristles to help protect gums, a slim handle, and an easy on/off button. Dentists recommend replacing your toothbrush every 3 months. After use, rinse toothbrush head thoroughly, shake off excess water and store upright. Do not mix old and new batteries. Do not mix alkaline, standard (carbon zinc), or rechargeable (nickel-cadmium) batteries. Battery choking hazard not intended for children under 3.